The Neurodiversity News Show, hosted by Mike Nickas. 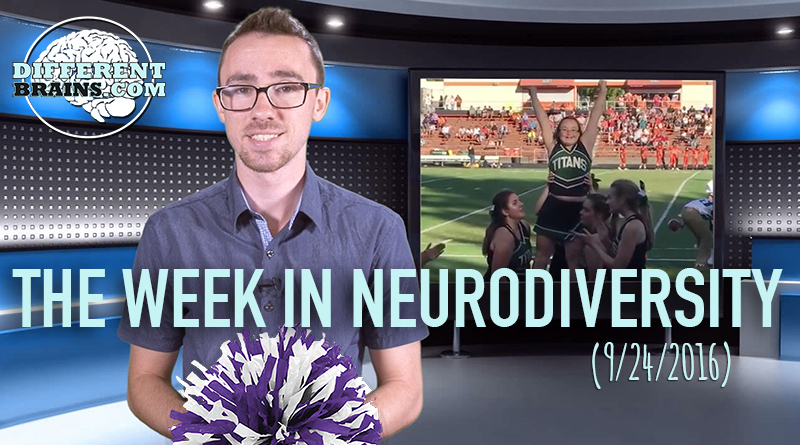 In this episode, a girl with Down syndrome becomes an honorary cheerleader, a treatment is discovered for children with Alzheimer’s, and have you seen the robot that helps children with autism? All these stories in more on this week’s episode! [00:13] A 14 year old girl with Down syndrome has been welcomed onto the West Salem cheerleading squad as an honorary cheerleader. [00:44] John Elder Robison discusses what life has been like for him since being diagnosed with Asperger’s at age 40. [01:32] A new treatment appears to be slowing down a form of Alzheimer’s disease that effects kids. [02:24] An epilepsy treatment has been introduced in an implant that helps patients fight off seizures. [02:51] Camp Hope is helping veterans with PTSD face their symptoms. [03:15] The autism solutions bot has been created to help assist young children with autism, and was presented at the TechCrunch Disrupt Hackathon. Mike Nickas received his Bachelor of Arts in Film and Multimedia Studies at Florida Atlantic University in December of 2015, and is currently pursuing his second BA at the University of South Florida in psychology with a minor in education. He is the former host of the online news show The Week in Neurodiversity. He also currently works for Dr. Mike Rizzo’s Child Provider Specialists in Weston, FL. In this episode, Harold Reitman, M.D. 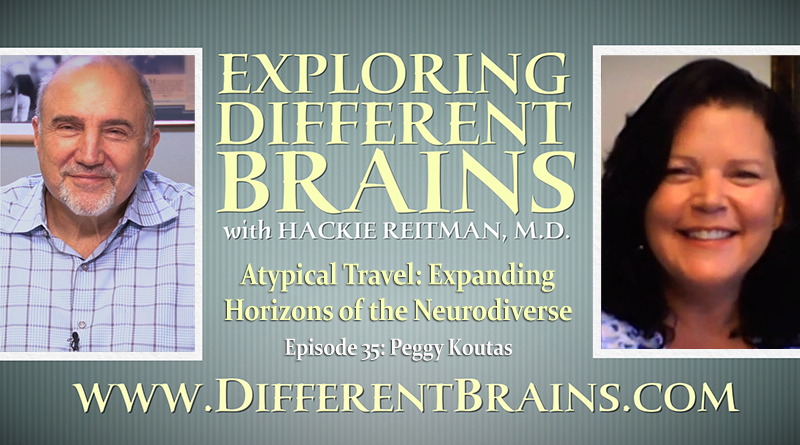 speaks with Peggy Koutas, founder of Atypical Travel. 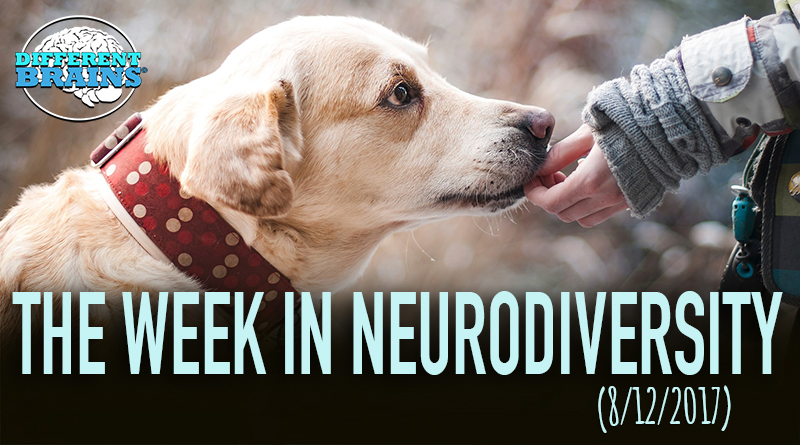 (4 mins 7 secs) In this episode, a deaf grandmother with dyslexia fulfills her dream of going to nursing school, Chicago Cub Willson Contreras surprises a 10-yr-old boy with Down syndrome for his birthday, and how are dogs learning to detect Parkinson’s? These stories and more in this week’s edition! In this episode, Harold Reitman, M.D. 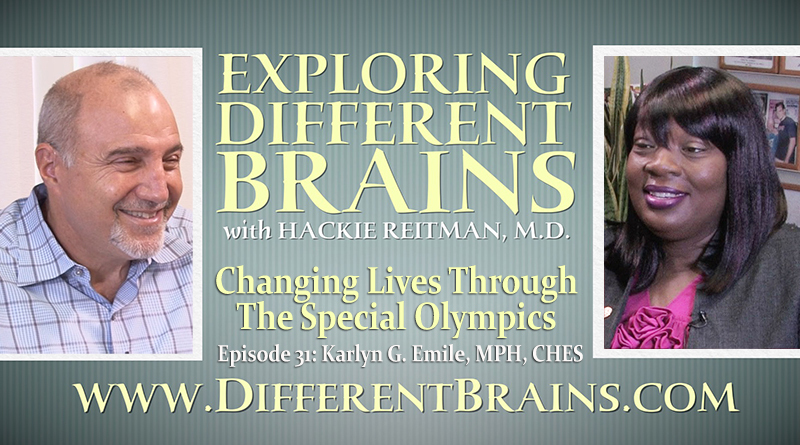 speaks with Karlyn G. Emile, MPH, CHES, director of South Florida Healthy Community for Special Olympics Florida.